Grammarly is a grammar and spelling checker that highlights any mistakes you might make while filling out forms or writing emails in your web browser. Start catching mistakes immediately and begin to write more effectively. Mint is a free, personal financial management tool that is fantastic for keeping an eye on your money. 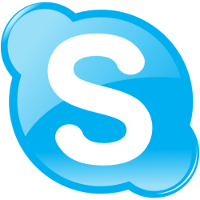 Available for: Microsoft Windows and OS X.
Skype is a telecommunications software product that enables you to use your computer, tablet or mobile device to hold video chats or voice calls with others. AVG Anti-virus offers very effective anti-virus and anti-malware protection. With its recently updated look and feel, AVG Anti-virus is worth checking out.